The Ford government has revealed what the new Ontario driver’s license will look like. The licence, which includes the new Ontario logo, will be available in the fall. 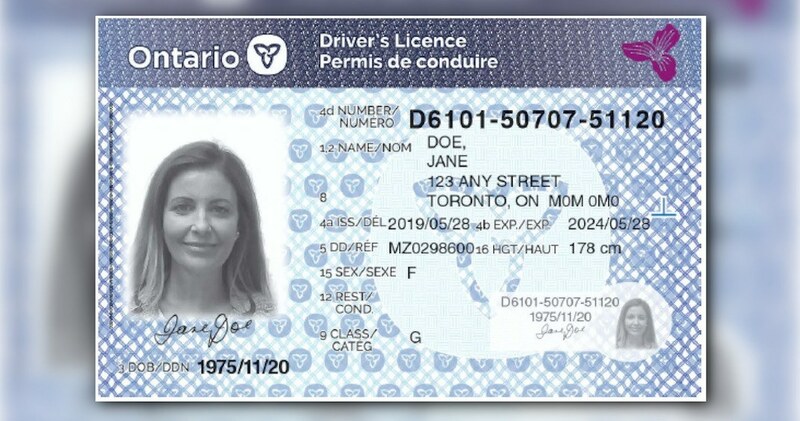 According to Transportation Minister Jeff Yurek, the provincial driver’s license hasn’t been updated in 12 years, despite needing to be refreshed every five to seven years for security purposes. “The driver’s licence is a tangible touchpoint between the citizen and the government of Ontario. With a new brand we have taken this as an opportunity to showcase the new logo to drivers across Ontario,” said Yurek. The new driver’s licence will also feature a renewed version of Ontario’s classic trillium logo, part of a refreshed brand identity that will be implemented across the entire government. The logo is accompanied by a clear and succinct articulation of a simple unifying principle: that the Ontario government is “Working for You,” according to a release from the provincial government. This announcement comes less than a week after the government said it’s releasing new licence plate logo. ‘A Place to Grow’ is now the official slogan for licence plates in the province. According to the province, the new plates will be available in February 2020. Yurek says the plates will remain on both the front and back of vehicles across Ontario.